Contribute to someone's life by sharing knowledge and experience pure joy of giving! Connect with your students from wherever you are and whenever you want. A surprisingly high earning potential with predictability and control in your hands! Be a part of a large teaching community, make friends and learn from each other! Being with vedantu not just gives me the feeling of being a tutor, but I feel glad that I try to bring in my product management skills. 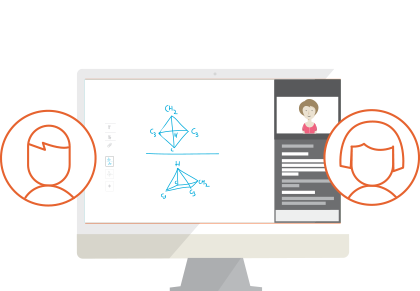 Online teaching is not perceived very easy even among the professional teachers, but Vedantu has developed a solution where I deliver sessions for students from different places at the convenience of the students in terms of topic, time, etc. When I introduce myself to my students I feel proud, proud to be a part of Vedantu family. Vedantu is more than an online platform to me, it is more like a family. All the members of AIR team, Teacher Care team, Student Care team are now my family members. They are more than friends who always intend to help us. I am proud to be a member of VEDANTU FAMILY. Vedantu has been a very enriching experience. How technology can unlock the potential in each of us to be a fabulous teacher. Some students just remind me of my own times when I was a not-so-confident kid at school. Private tuitions were a costly affair. Today platforms like Vedantu are innovating the art of private teaching. After a 16 years career in IT, I am semi-retired. To some, retirement means watching TV all day. To me, retirement is, spending the day following my heart, and not worry about bills. As a child, teaching was my dream job and in college, Physics/Maths was my passion. My other passion is Street and Nature photography. Now, I carry my classroom in my laptop and teach my students from wherever I am. I have taken classes from over 10 cities so far. Apply by filling in a simple form. Our experts will screen the best profiles. Pick a topic of your choice and give a teaching demo to our experts. Once selected, documentation and profile creation will be done, followed by training and induction webinar. Once you attend the webinar, you will be listed as a teacher and will get your first online session in no time. What users say about our teachers? "Sir is an extraordinary teacher with the knack of simplifying every question. He proves things by everyday observations and makes one realize about the real concept. Hats off to my new teacher." "I asked the easiest and stupidest questions one could ask and i saw absolutely no signs of annoyance or aggression, awesome teacher. loved my first online tuition. but if the audio quality and speed could be improved, vedantu would actually be the ONE THING that is better than lasagne :)"
"Awesome teacher!! Explained the topic with so ease that I was amazed. I was not able to understand the topic for so long but sir explained me over phone and cleared all my doubts within half hour. I was able to solve all my book problems without any help. Thanks a lot. BTW Sorry for the odd timings." "My son says if he goes for online tuition with Vedantu the teacher would be Rishi!!! So , thanks for the teaching this is very helpful." How long does it take to get listed on Vedantu? The process of getting listed on Vedantu is extremely simple and quick. You just need to clear an online assessment and/or provide a teaching demo to our experts. On an average the entire process can be completed within a week's time. What subjects are offered at Vedantu? A student can take up personalized online tuitions in Mathematics, Physics, Chemistry, Biology, English, Hindi, Sanskrit, French, German, Social Studies and Computer Science at Vedantu. Apart from these core curricular subjects, they can also enroll for various competitive exam preparatory courses like - IIT JEE (Foundation and Main), PSA, IMO, NTSE, etc. How much does an average teacher earn on Vedantu? On an average, teachers earn more than INR 15000 per month. Assuming a teacher devotes a minimum of 2 hours per day, he/she can easily earn between INR 18000-20000 per month. What if I am not able to teach for the initially committed duration? At Vedantu, you teach at your convenient time and/or at a time that is mutually convenient to you and your students. With the essential tools and features, you can adjust your availability to teach on Vedantu anytime and be visible to a pool of students. What are the basic requisites to conduct online tutoring sessions at Vedantu? As far as hardware is concerned, a laptop/desktop with good processing power, minimum of 4 GB RAM, broadband Internet connectivity (atleast 4 mbps) is required along with a digital pen tablet or stylus. Power backup definitely is an add-on in case your area has electricity issues. Rest, our Academic team takes care of all the training you need to kickstart your sessions on Vedantu. How much time do I need to spare to conduct online tutoring sessions? Vedantu is a highly flexible platform that will enable you to teach whenever you can. It all depends on your availability to teach online. Our teachers spend 4 hours per day on an average. However, a commitment of at least 2 hours per day between 4pm and 10 pm is a requisite. Yes, It is. Our Teacher Care team also conducts intensive trainings to help you deliver online sessions better at Vedantu. Yes, trainings are integral part of the on-boarding process for every new teacher at Vedantu. Our Teacher Care team is always available for helping teachers with anything and everything they need. Definitely. We at Vedantu are extremely sensitive about the wholesome experience of learning and teaching. Hence, our Teacher Care and Tech teams are always available for immediate resolutions to any issues you face. Payouts are done on monthly basis. All payouts are released before 5th of every month to our Teachers. Can I set my own price as a Teacher? Definitely. You will have a complete flexibility to set your own teaching price as per the given standards and change the same periodically at Vedantu. No. There is no registration fee to be paid to Vedantu for enrolling and getting listed as a Teacher. As we said, Vedantu is a highly flexible platform. You teach at your convenient time, and hence you do not have to sign any contract or bond with us. What are my responsibilities at Vedantu as a Teacher? We expect all our teachers to act as an end-to-end learning solution providers for the students. In simple words, the teacher understands the learning requirement of the student, creates the learning plan for the student, prepares the relevant content required for the sessions, shares tests and assignments, evaluates them to understand student progress and provides regular feedback on the same to students and parents. Yes, our Teacher Care team will help you do a sanity check, if your tablet syncs well with our platform, you can use the same. How can I create Content for handling my Sessions? We will provide you with an LMS (learning management system) where you can create, curate, share and evaluate content based on your students requirements, understanding and progression pace. What are the Demographics of Vedantu teacher base? We have a healthy mixture of male and female teachers from every corner of India. Majority of our teachers are from Bangalore, Mumbai, Delhi and Kolkata.